The Brewster River Mountain Bike Club maintains trails in the Pleasant Valley area of Underhill. Please be respectful when riding our trails, as they are all located on private property. Parking is available at the Valley Dream Farm, a long time supporter of the club. Dogs are not permitted anywhere on the Valley Dream Farm property. The West Hill connector is closed on Thursdays for Pony Club rides. West Hill trails can be accessed from the County Road. There is parking at the end of the County Road and dogs are permitted on West Hill trails, but must stay off the open fields and connector. Additionally, any dogs that accompany riders on other zones within the BRMBC network should keep to the main trail. Chasing horses, livestock, other pets and animals of any kind on our landowners and neighbors property is not acceptable. Please respect this. ​Volunteering at one of our trail days is a good way to learn about the trail network. The club has begun developing trails in the Brewster River area of Jeffersonville. 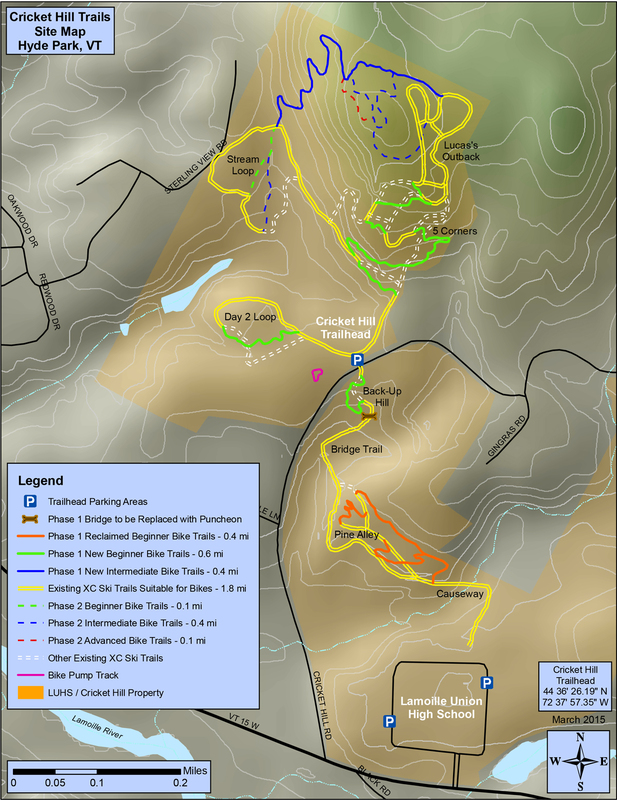 The goal in this area, is to construct a trail network on publicly accessible land. The initial Midlands trail is on Vermont Land Trust property, which was donated by the Bryan family. Additional development is dependent on maintaining a good relationship with the local community, please ride accordingly. 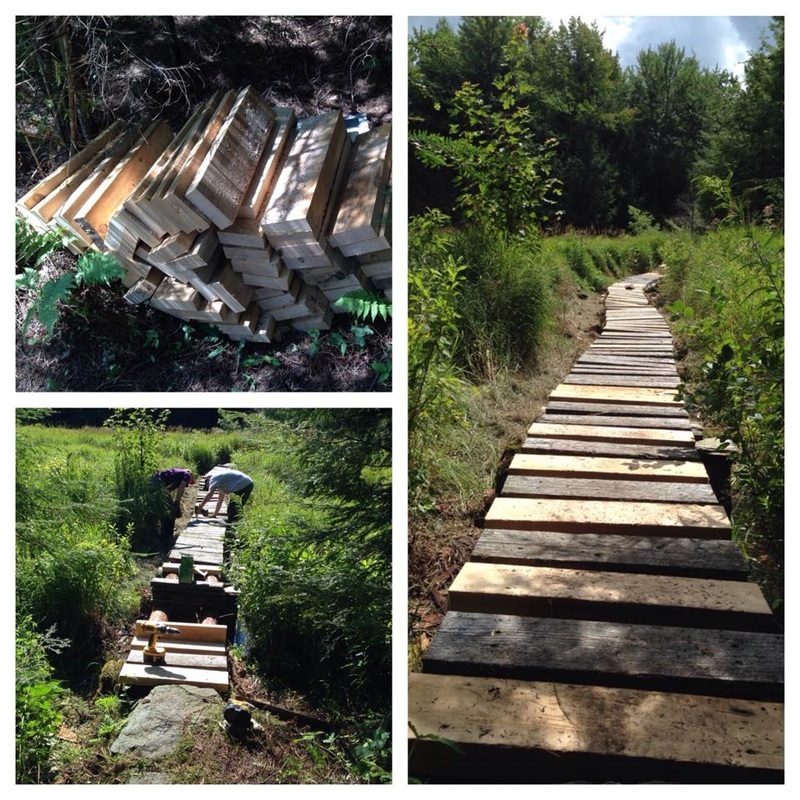 These trails have seen developed with a combination of volunteer support and grants from VMBA and Healthy Lamoille Valley. ​The newest addition to BRMBC, located behind the Lamoille Union High School. Stellar trail is what its all about, and we have a few additions and improvements planned this year. Of course, none happens without your help – virtually 100% of BRMBC trail is built and maintained with volunteer labor – something that is exceeding rare in the state. We all should be proud of thousands of hours spent developing our great network. There are various areas that need tune ups – not glorious work, but still important to keep the trails in top shape and fun to ride. 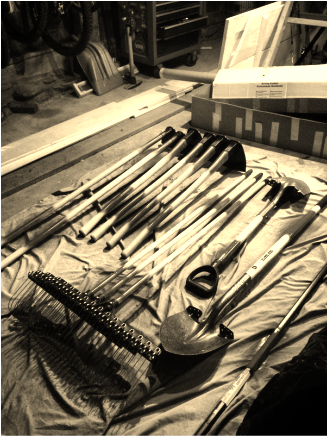 Stay tuned for further plans as we get a few other projects out of the conceptual stage and into rogue hoes in the dirt.